Hello again! 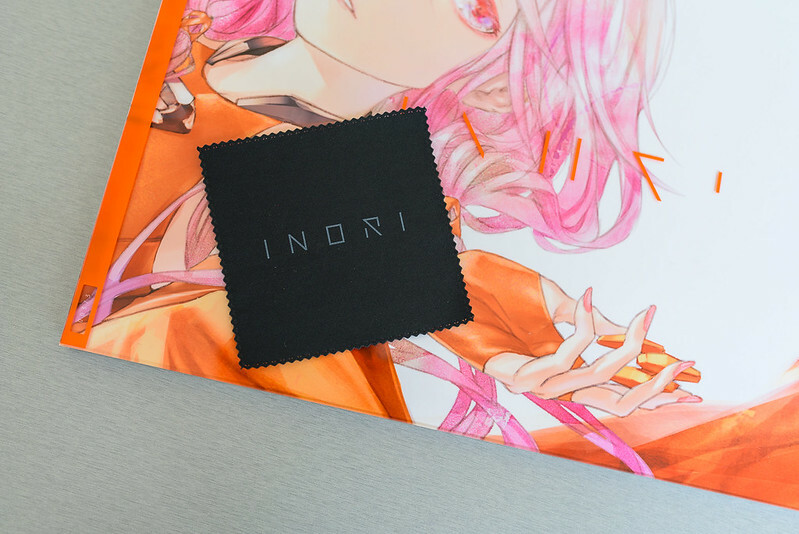 Today I will be doing a mini-review for redjuice’s Project: INORI which I received early this week! I’ve been following redjuice ever since they started doing collaborative works with Ryo as supercell. Definitely a big fan of their unique and detailed art style! 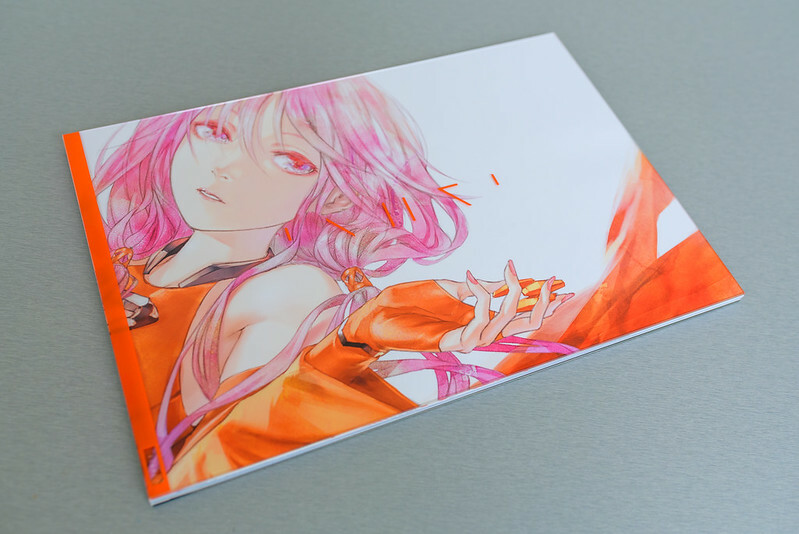 I remember having a bit of difficulty tracking down some of his artbooks but I’m glad to see more of his art is being printed. 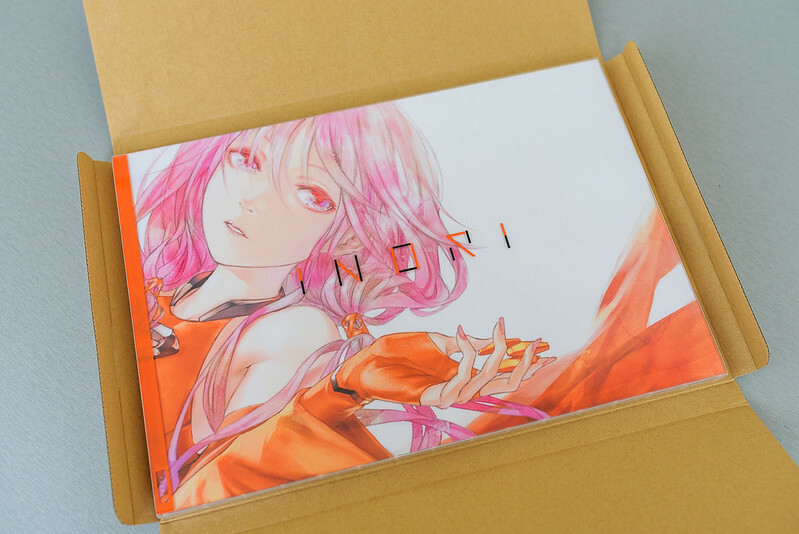 Earlier this year I heard that Tokyo Otaku Mode was collaborating with redjuice to produce a crowd-funded art book called Project: INORI. As a big fan of his work I was interested in possibly contributing. 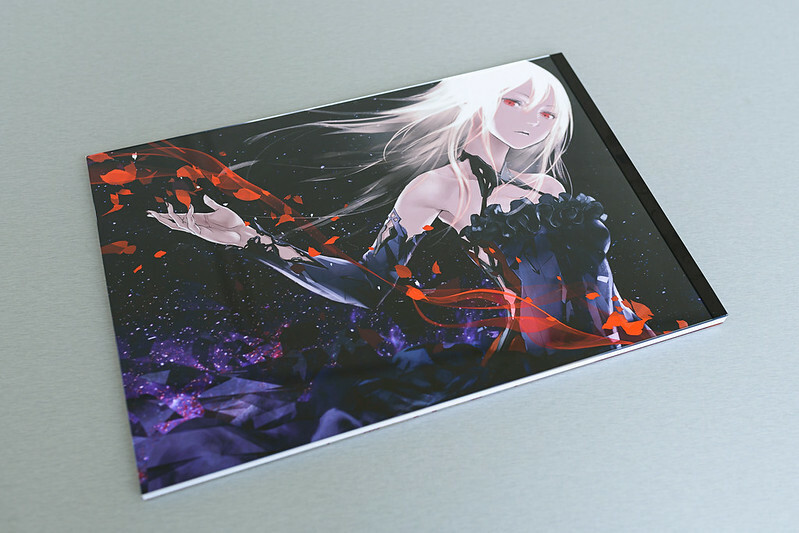 At first the 200000 yen price tag scared me a little bit but on the website they offered preview images from production. From the images I could tell sure this was going to be a high-quality product. And then I saw it was going to be printed on Canon DreamLabo 5000, a printer mainly dedicated to photo printing. I was definitely intrigued and decided to participate (at the lowest tier level haha). I finally received my copy this week and after opening the box I can already understand the hefty price tag. The book’s covers are clear hard plastic and the binding is pretty close (but not quite) to lay-flat binding. There is also a clear slip-cover for protection. Also wanted to note that the front and back covers both have different art! Another cool feature is that each individual book is numbered! I’m guessing the number is based on when you placed your order. I got #373! 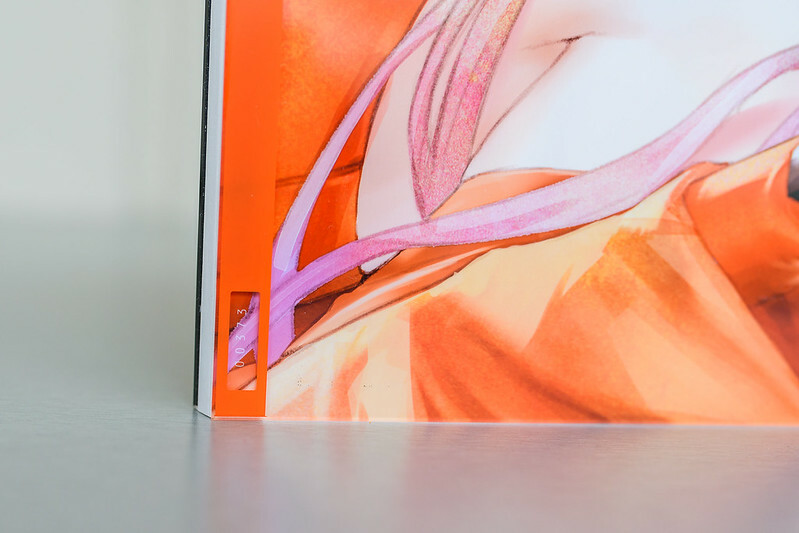 I think what adds to the high production quality of this book is that almost the entirety of the art is printed on archive-quality lustre photo paper! The paper is this and has a very nice shine to it. I almost feel that I should wear gloves as I’m handling it! I think printing the art on photo paper allowed the colors to be brighter and the artwork to be sharper. This is definitely not your average coffee table book. 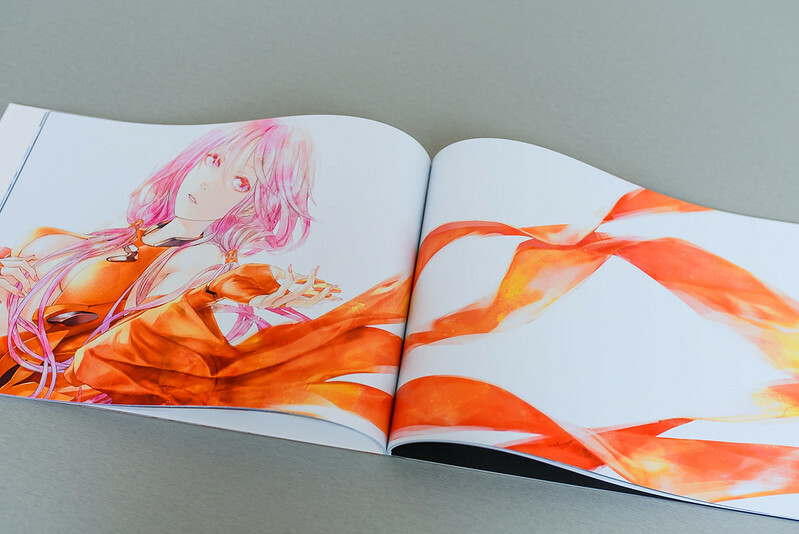 While Guilty Crown was not my favorite anime in terms of storyline and plot, I very much loved redjuice’s artwork for it so it is very nice to have a produced collection. 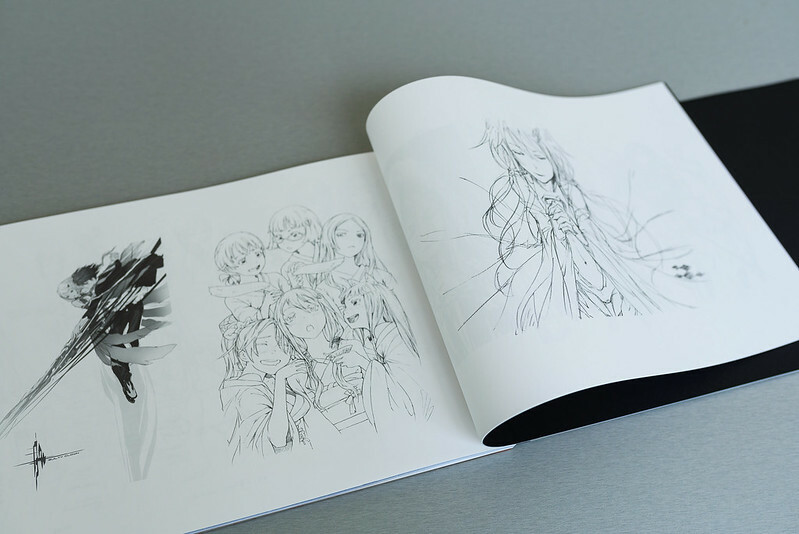 The last section is a compilation of sketches and linework that redjuice has done for Guilty Crown and a few other projects. Unfortunately these were not printed on photo paper. Instead, they’re printed on a thinner paper which I’m afraid I might accidentally rip. Otherwise it’s a very nice collection of sketches. Finally, the book came with a custom-made micro cleaning cloth, mainly to clean off the fingerprints from the cover. 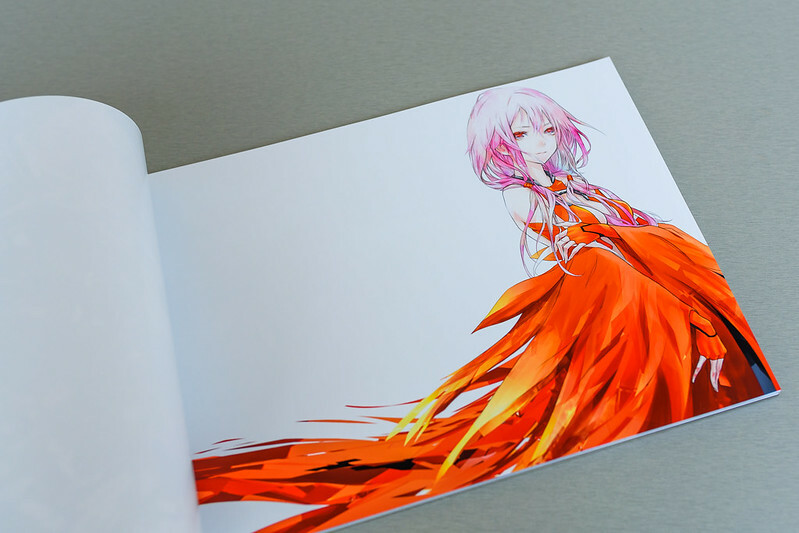 So in conclusion Project: INORI is definitely a must-have to add to your collection if you are big fan of redjuice’s art or Guilty Crown. However, just to add a discalimer remember to manage your money wisely because it is a very hefty price tag. Although the campaign with Tokyo Otaku Mode is closed, I’ve seen copies still being sold on different sites so I’m sure you can still find some copies available elseware!